A gearbox issue prevented Ebor GT’s Maserati from taking part in Friday’s qualifying, but Charlie Fagg and teammate Matthew Graham proved that was no obstacle after coming through from dead last to seal a famous first British GT4 victory for Maserati by 5.8s. Fagg started last of the 20-strong GT4 grid but stayed in the hunt by avoiding the two opening stint accidents and pulling off several passing moves, in fact 9 on the opening lap, to pit from 11th. 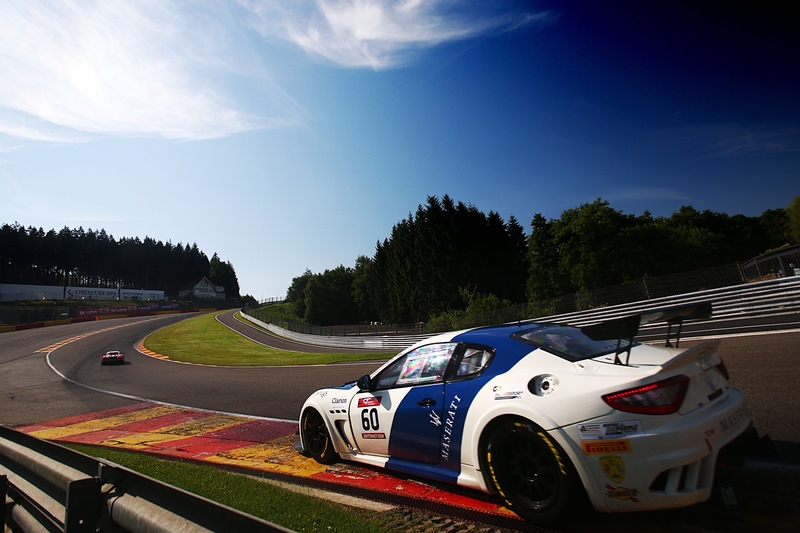 Graham then continued his co-driver’s good work but it wasn’t until the frenetic final two laps that the scale of his and Fagg’s progress became apparent and the Ebor GT Maserati crossed the line in 1st place. A truly remarkable drive form Fagg and his team mate Graham. 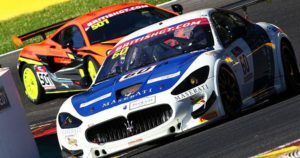 Race 2 saw Matthew Graham and Charlie Fagg repeated their trick of charging through from a lowly grid slot to claim back-to-back GT4 victories aboard their Ebor GT Maserati. This time it was Graham who picked his way through in the fast GranTurismo MC to lead by the end of his opening stint after passing Joe Osborne’s pole-sitting Tolman Motorsport McLaren. An extra 24s in the pits – 14 for being a Silver Cup entry and an another 10 for winning Race 1 – meant Fagg resumed post-driver change in eighth. But that wasn’t enough to prevent Ebor GT’s entry from making up lost ground. Fagg then got into a rhymn and began to carve his way through the field. With 7 minutes to go on the clock, Fagg took the lead and pulled away to take the flag a full 30 seconds clear of his next competitor.